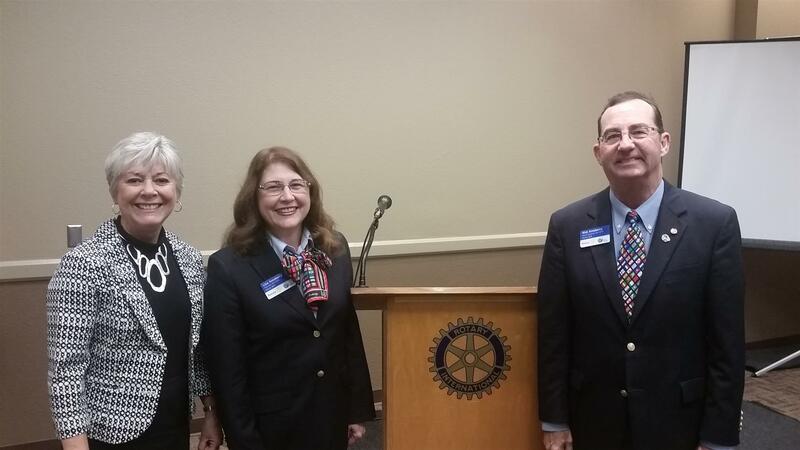 Rotary District Governor Rick Amsberry visited the local Rotary Club to explain how everyone benefits from good works. He said there are three ways to benefit. Service given to the community. As an example, he pointed out that the Rotary Club puts out about 1,400 flags on certain days. Yes, it is a fund raiser but those funds go to good places like Hope Clinic and Miracle League. There is more though. The appearance of the flags makes the community more attractive benefitting everyone and the Rotarians enjoy working together to put the flags out. Service projects involve working with others. All of our organizations in Waxahachie do good projects benefitting someone in need. Few of these projects are done alone; others are involved having a good time and building deeper, richer relationships. Everyone benefits in this way. These projects make a difference. Someone who is home bound can go outside with a new wheelchair ramp. The Worship Outside the Walls which several churches are involved with repair plumbing or electric systems or other projects which make a meaningful benefit in someone’s life. DG Amsberry pointed out that many of these projects can be outside the comfort level of the workers. If you are uncomfortable you are probably learning, and growing. Next time your organization of church sets up a major project volunteer. Try it and see where it takes you. The DG’s spouse traditionally has a project, too, and Mrs. Amsberry’s project is altzheimer’s disease which is personal to her as her mother suffers from it. The club presented her with a check to support her work.